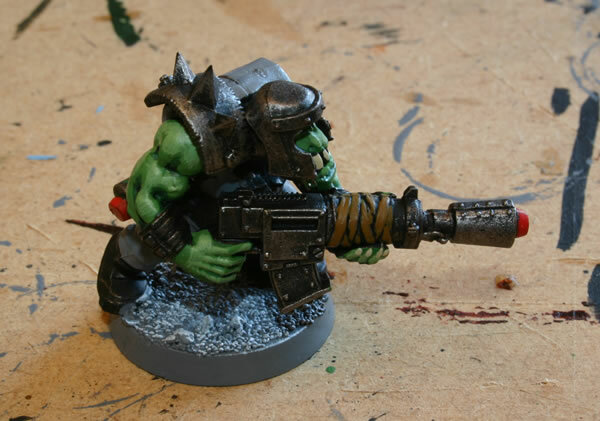 In the blister you get two models, an Ork with a Heavy Shoota and one with a missile launcha. 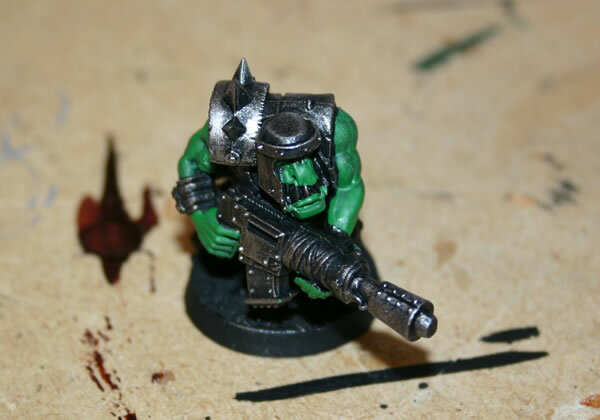 Though you can very easily convert models from the Ork Boyz set to create your own Orks with Rokkit Launchas. Basically it consists of using a Shoota and sticking in a grenade from the Stormboyz set. I start off with a black undercoat and then do all the metallic bitz with a drybrush of tin bitz and chainmail. Here is the model undercoated. 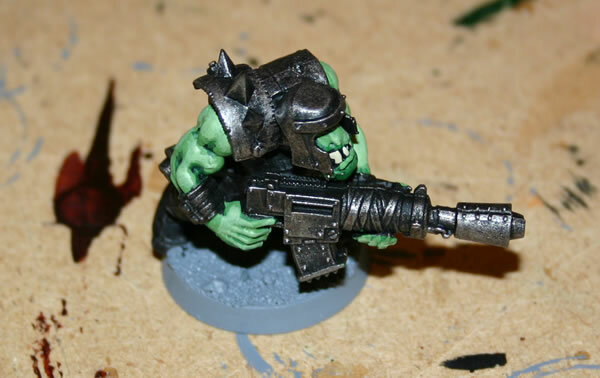 Once I have drybrushed the metal parts I use a dark green base for the Ork skin. This photograph shows the skin finished and I have also done the base. The next stage is the clothing and other bits. I am going to paint the Rokkit in brighter colours to make it look less like a Shoota and more like a Rokkkit Launcha. I have added some more detailing to the model. I have painted the *uniform* in Codex Grey. I have drybrushed the base with white paint and I have added some detailing.